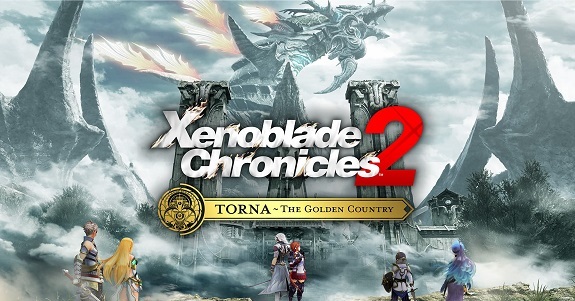 Ahead of the release of Xenoblade Chronicles 2: Torna ~ The Golden Country (the story DLC for Xenoblade Chronicles 2), on September 14th (Expansion Pass owners) / September 21st (retail stand-alone version), the developers at Monolith Soft. are going to share various details and pictures (maybe even videos!) via the official Twitter account (like they did for the main game, last year). 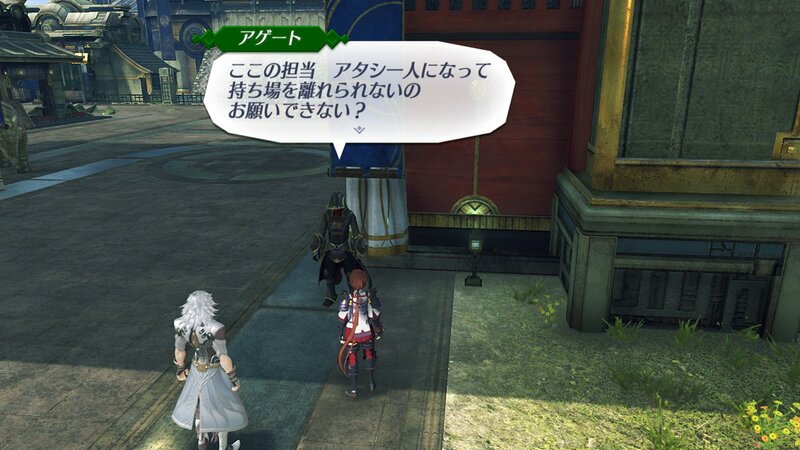 Today, Monolith Soft. 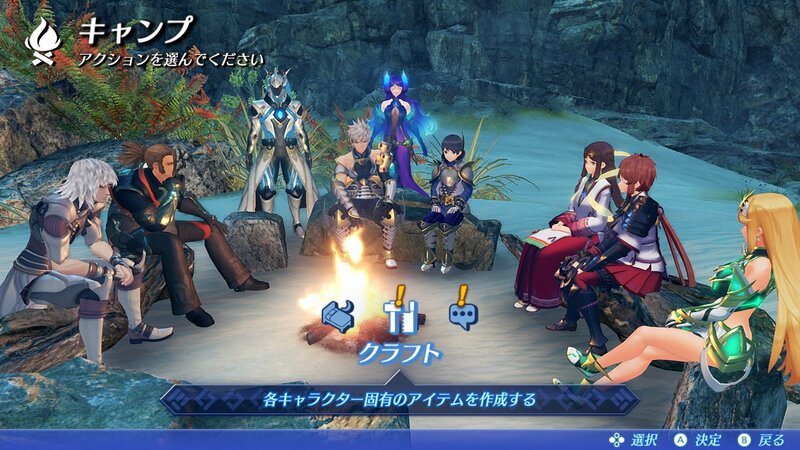 shared some details and screenshots for a new feature introduced in Xenoblade Chronicles 2: Torna ~ The Golden Country… camps! During your journey, you can take a break at one, but their only purpose isn’t just to let you rest a bit. 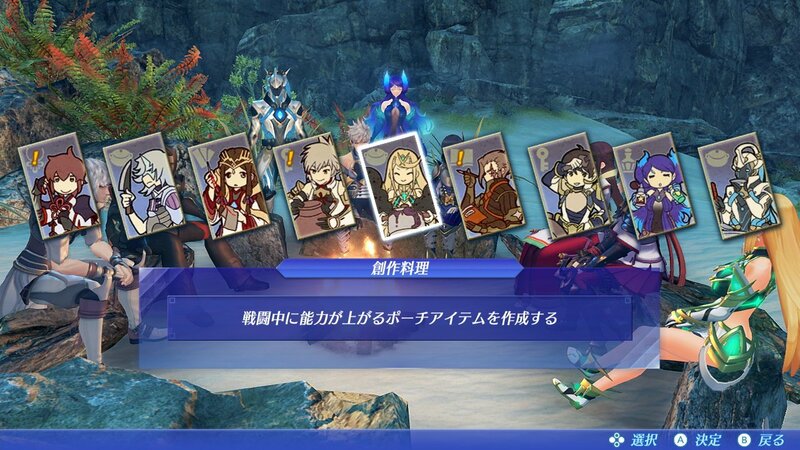 Indeed, you can also craft various things there (such as pouch items, aux cores, food, and more), using materials found on your journey (as enemy drops, from Collection Points, etc.). 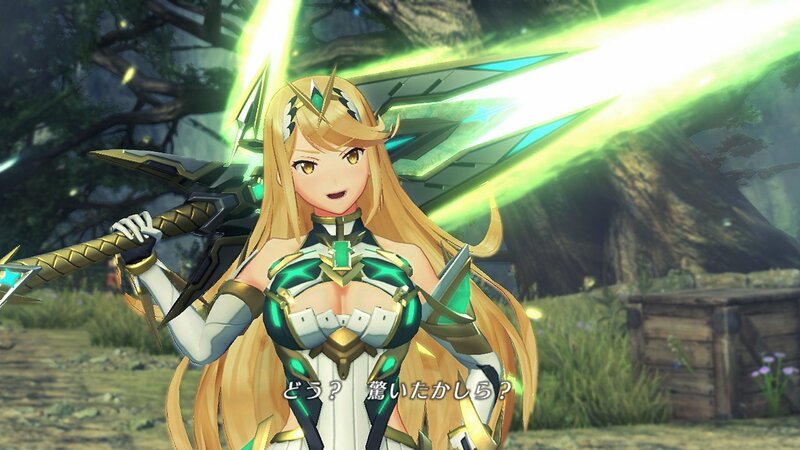 Each character has its own specialty: for example, Mythra’s is novelty cuisine. 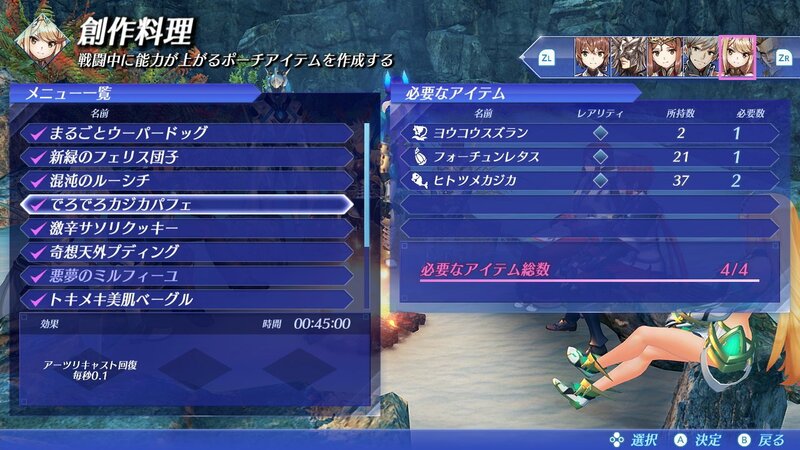 Also, as you clear quests, the number of things you can craft increases! 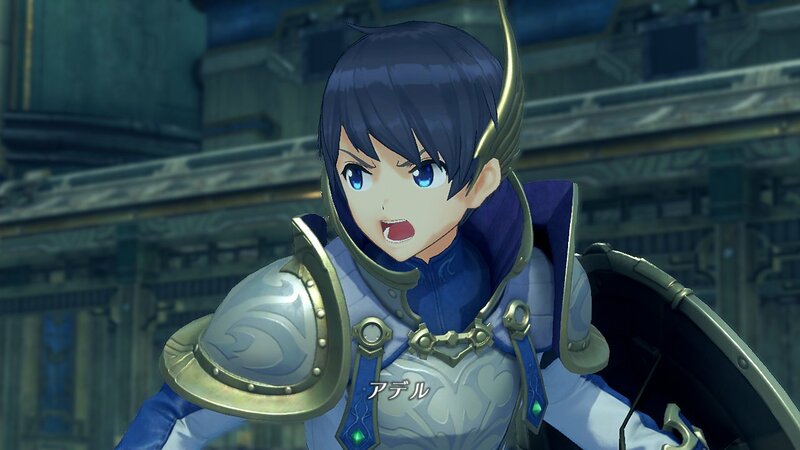 Also, we got a couple of pictures and some details about another character today: Ladalia (voiced by Yasunori Masutani), the Indoline Praetor. 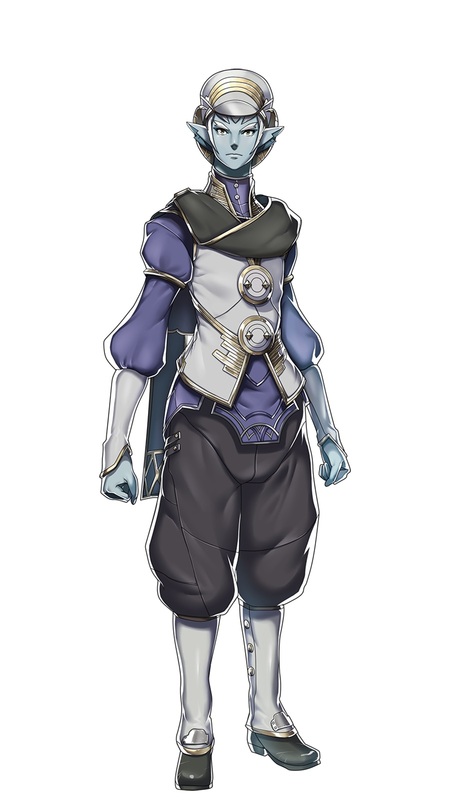 His might isn’t just restricted to religion: as the Praetor, the military power at his command allows him to have a major influence on Alrest. You could say he’s a really important person! Today, Monolith Soft. 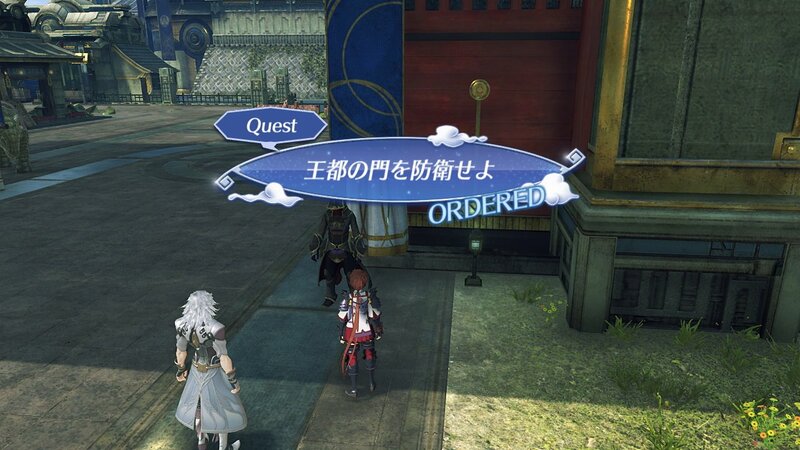 shared some screenshots and details about a familiar element found in Xenoblade Chronicles 2: Torna ~ The Golden Country… quests! 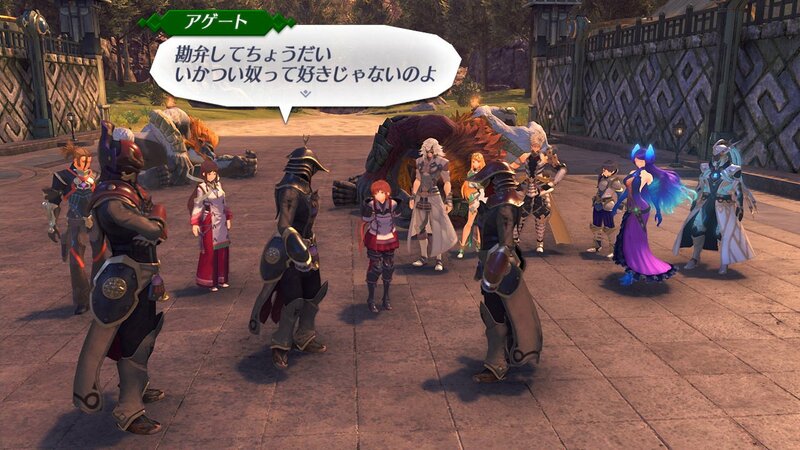 Even in this story expansion, you will meet people who have quests for you. If you decide to help them, you will get some sweet rewards in return! 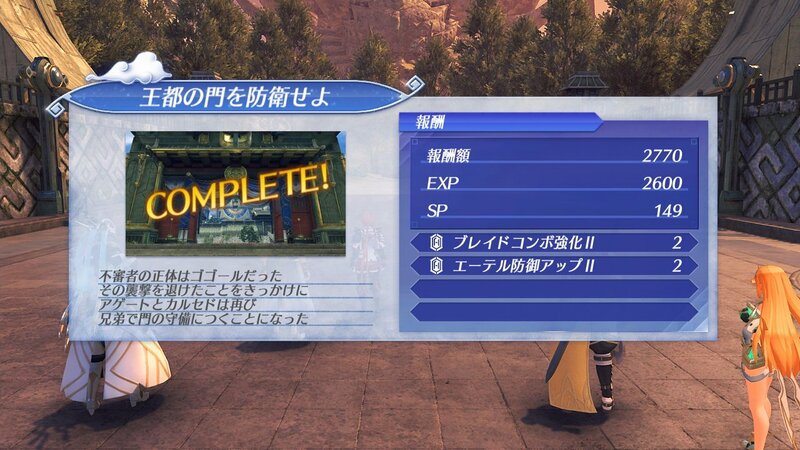 But that’s not all: those quests are directly related to a feature known as Community, that works like the Affinity Chart of the previous two games. 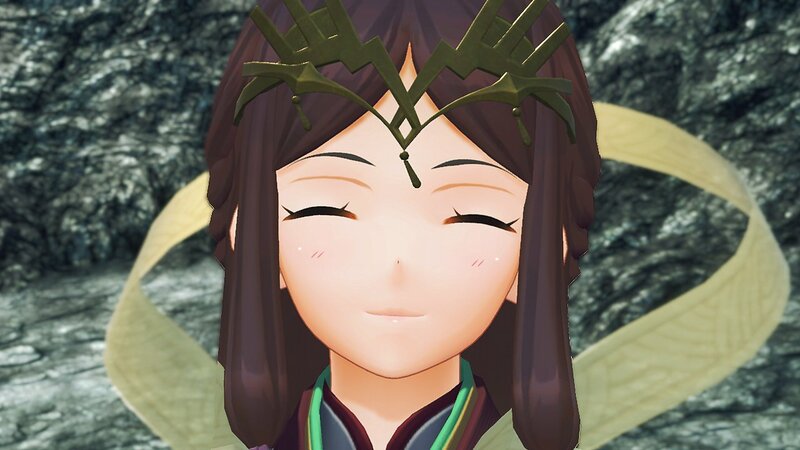 By clearing quests, NPC get added to your list of supporters. 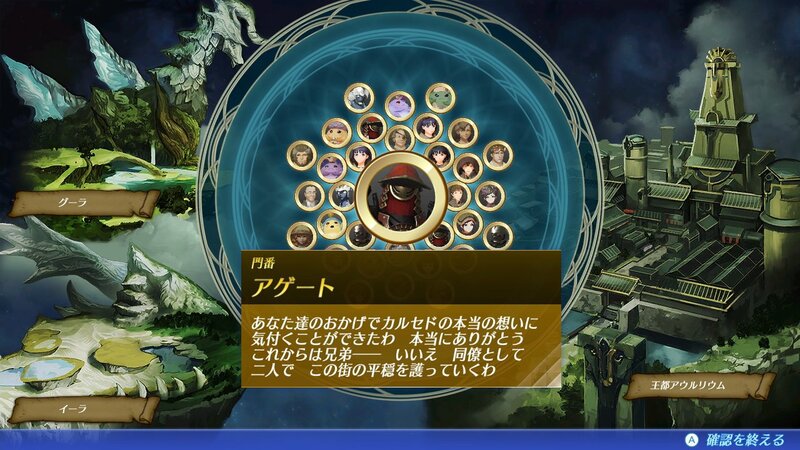 On the Community screen, you can also see important NPCs you’ve talked to, as well as who has a quest for you. 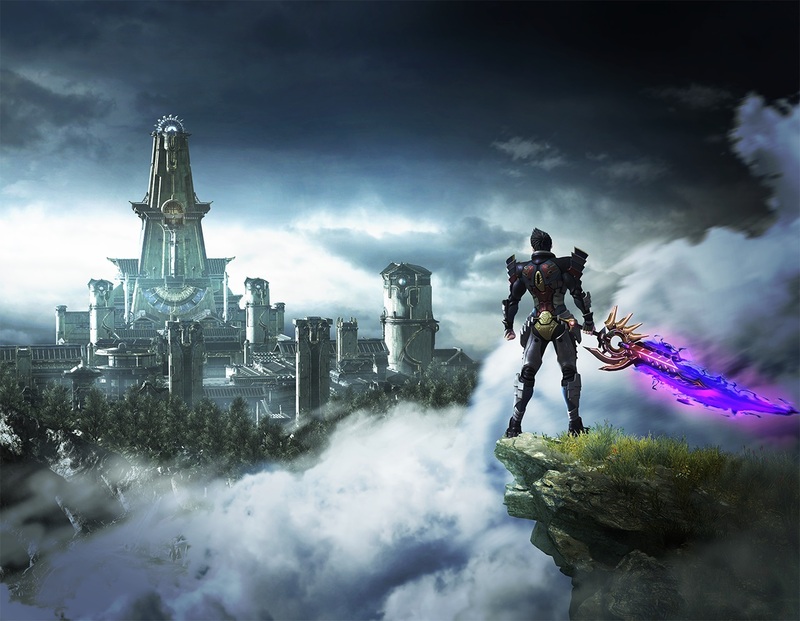 Today, Monolith Soft. 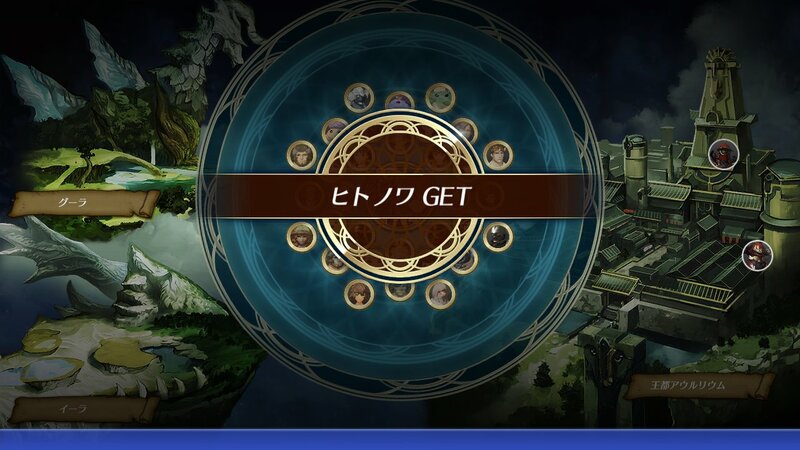 shared some more screenshtos and details about the battle system. 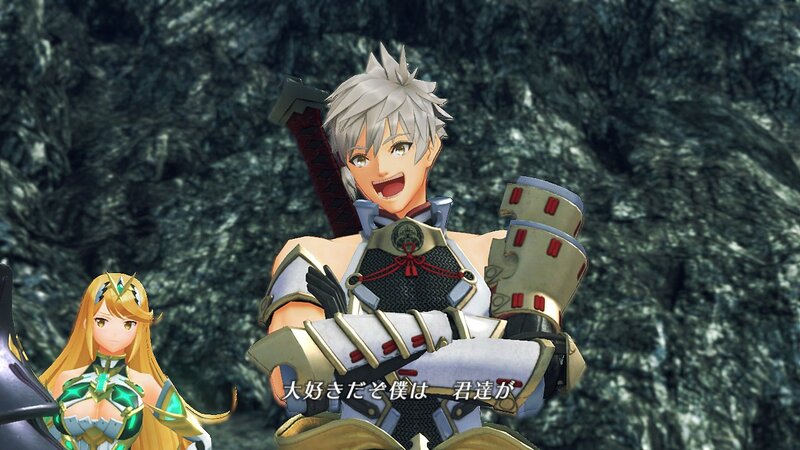 As you probably already know, all characters can battle directly in Torna ~ The Golden Country, when they’re put in front. 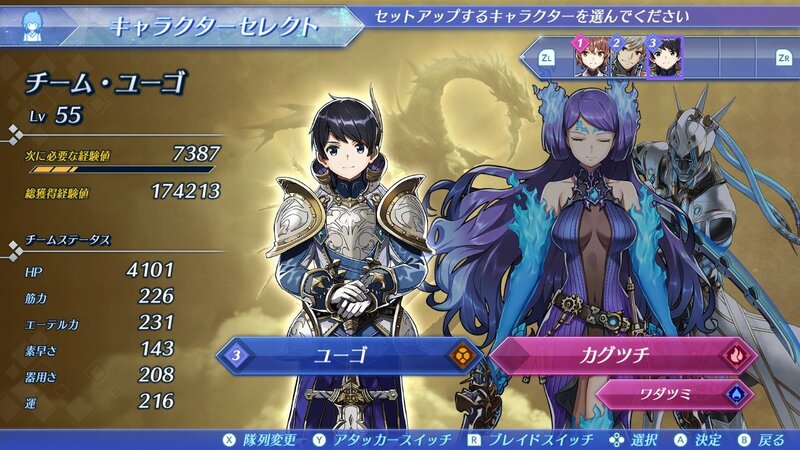 As a result, all characters have their own Attack and Support Arts. 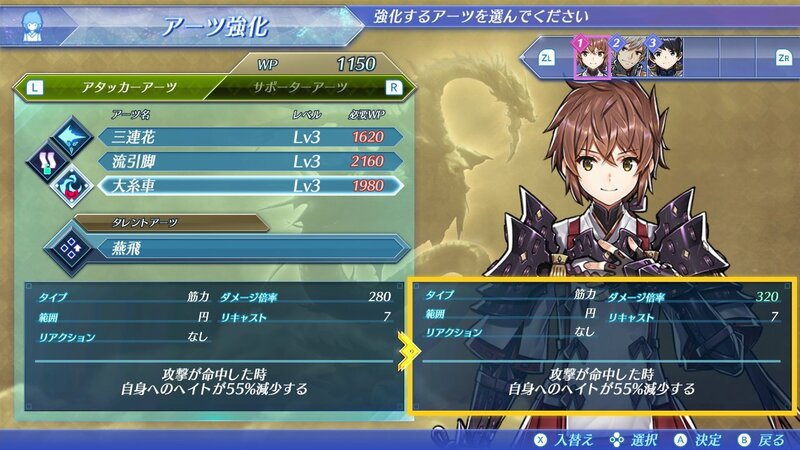 And just like in the main game, you can use WP (Weapon Points) to upgrade those very Arts and make them more powerful / efficient. Today, Monolith Soft. 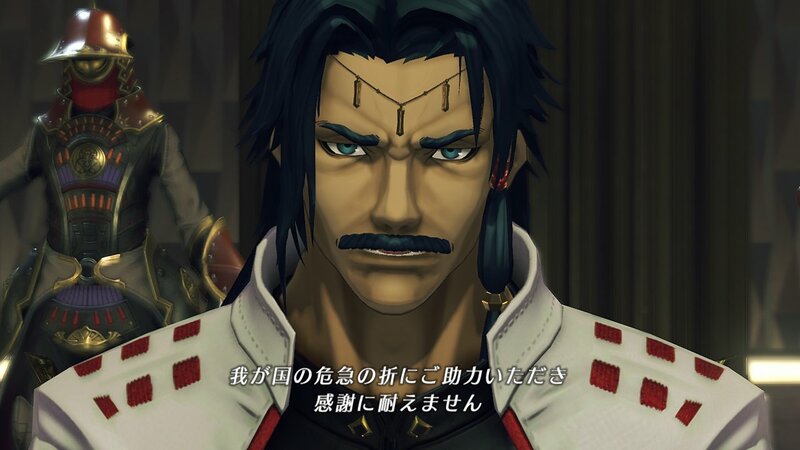 shared some screenshots and details about a new character: Zetta (voiced by Yasuyuki Kase. Japanese name). 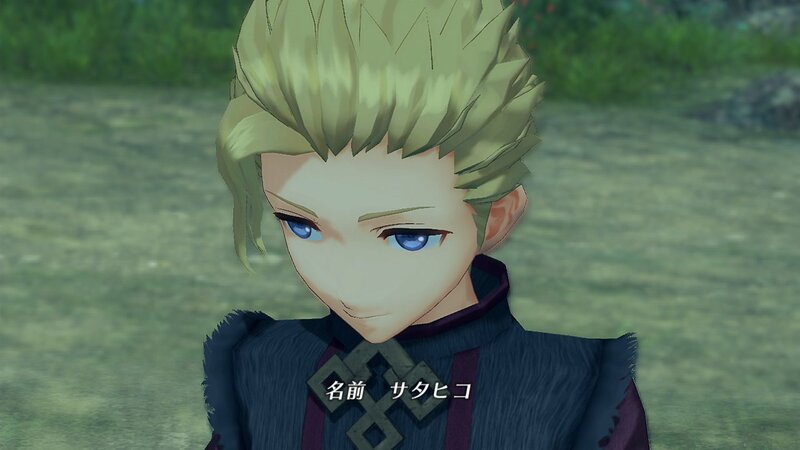 He’s the brother of the Tornan King, and therefore the second most important person in Torna. 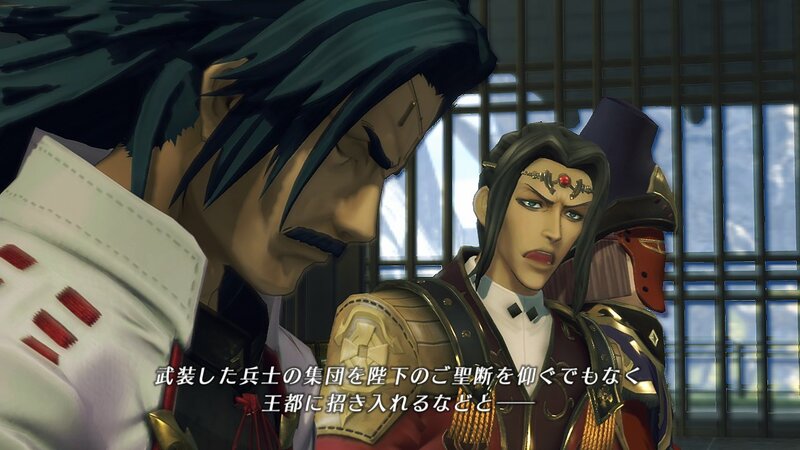 He’s Addam’s uncle, but he does not seem to have a high opinion of his nephew. 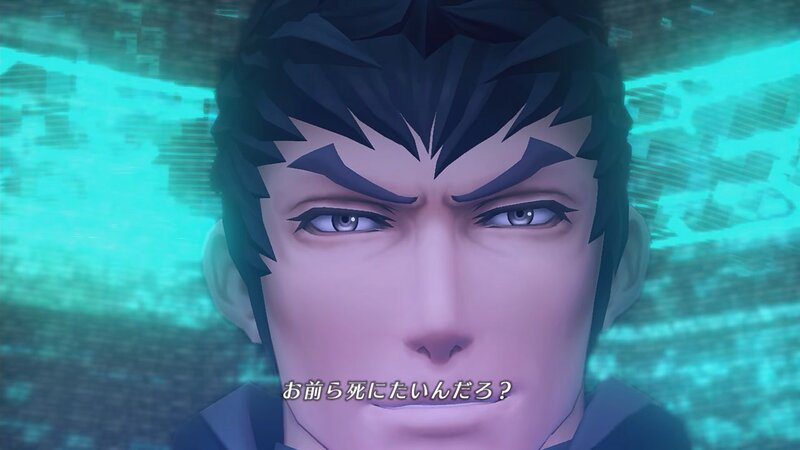 Rumour has it he once tried to resonate with Mythra’s core crystal, but failed. Today, Monolith Soft. 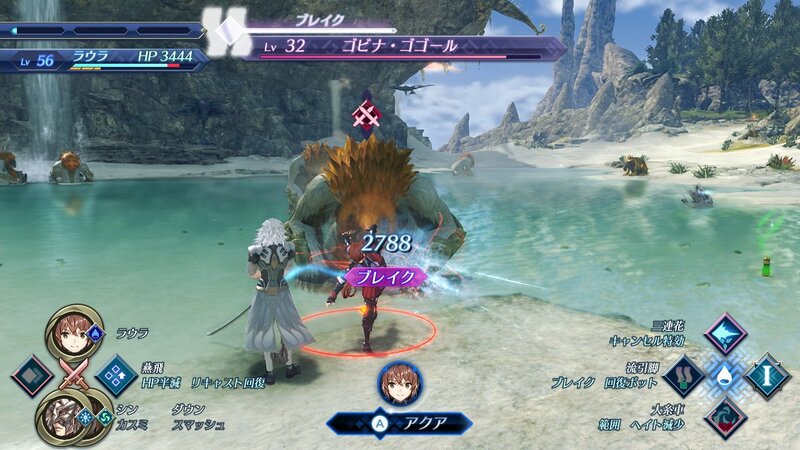 shared some more footage and details about the “new” battle system. 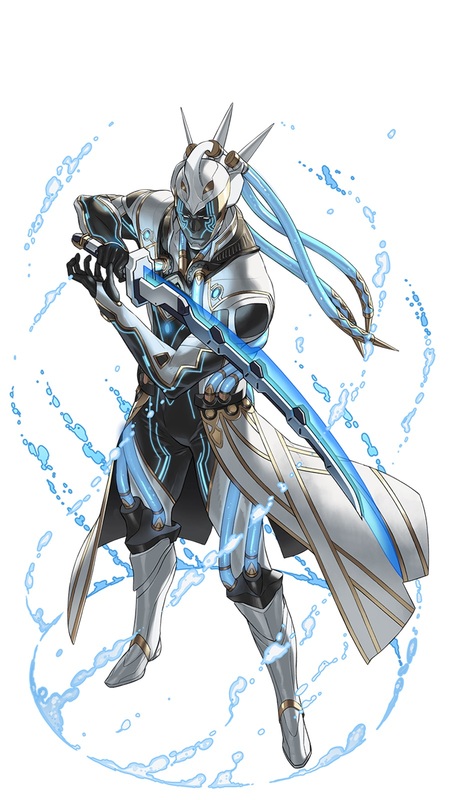 This time, the focus is on Blade Switch, a mechanic that involves switching which Blade you’re actively using (when you have more than one in your team). When the Blade is at the front, using Blade Switch allows you to change which Blade is attacking. 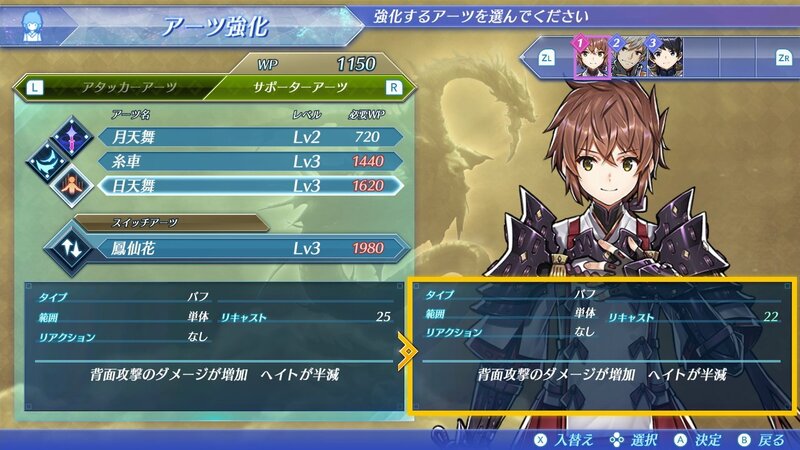 But when you have the Driver at the front, and the Blade at the rear, using Switch Blade allows you to change the Support Art currently active. 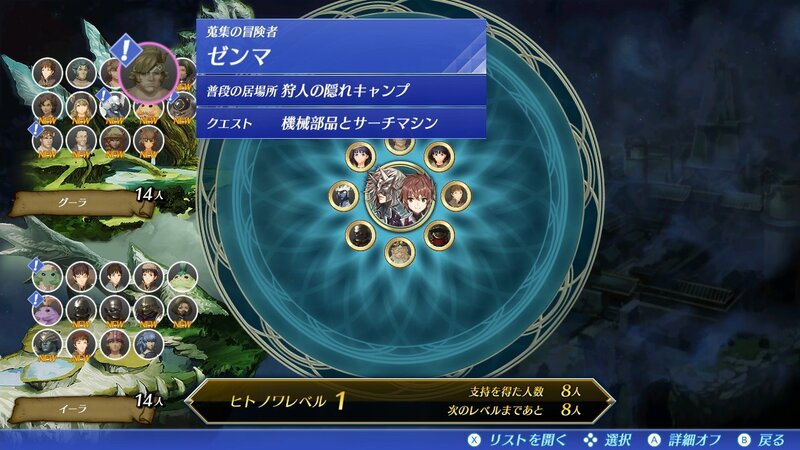 The key of the “new” battle system lies in constantly switching who is attacking and who is providing support by using Switch Arts and Blade Switch. Today, Monolith Soft. 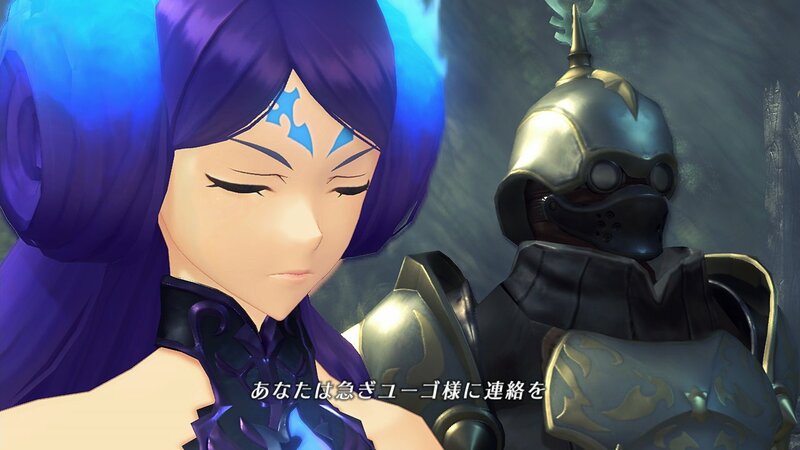 shared a video, some screenshots and some details about a key element of the “new” battle system in Xenoblade Chronicles 2: Torna ~ The Golden Country: Switch Arts. As showcased during the Nintendo Treehouse Live presentation at E3 2018, both the Driver and their Blades get to take part in the battle. You have one at the front, and one at the rear, and you can switch between the two. 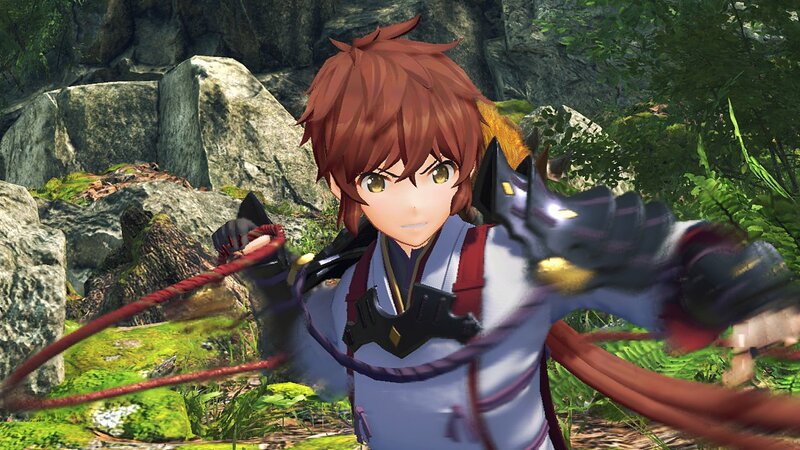 When you switch, you trigger a Switch Art: this can be used to deal damage to enemies, but also recover HP, inflict the Break status, and more. 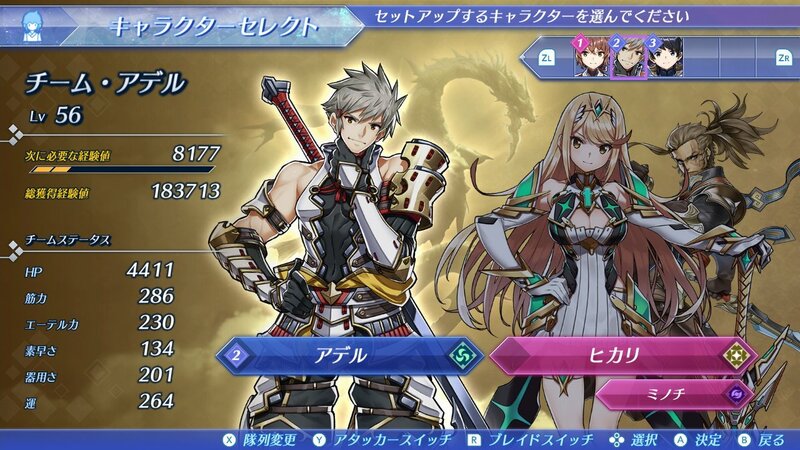 Each character / Blade has their own Switch Art, with its own effect. 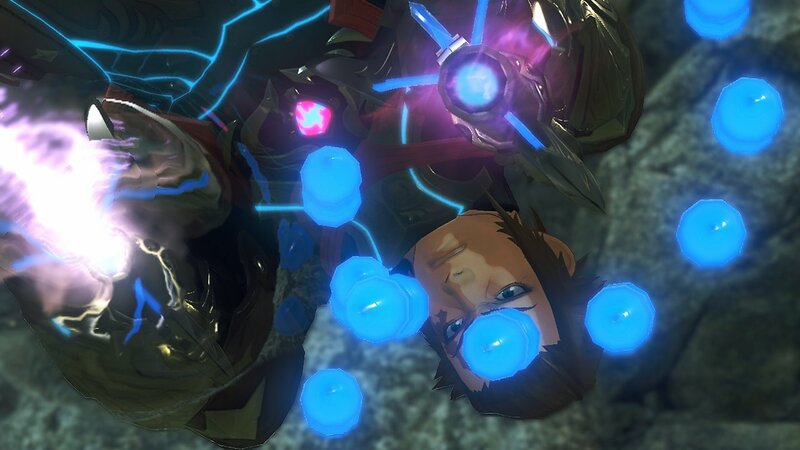 Knowing which Switch art to use, and when, will be key to gaining the upper hand in battle! Today, Monolith Soft. 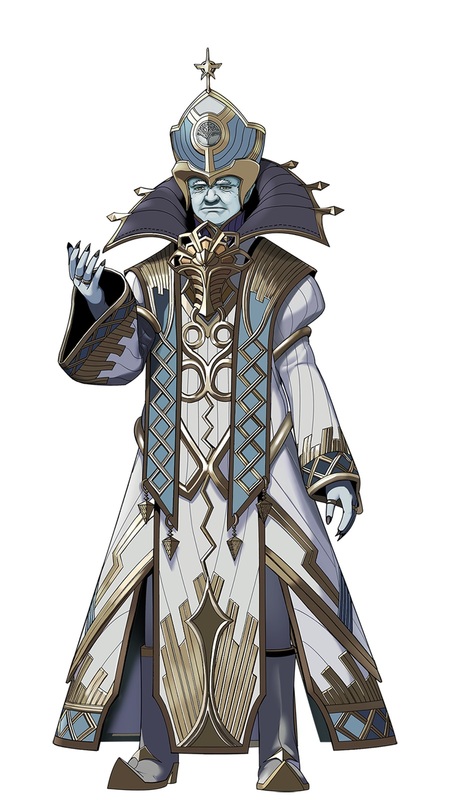 shared some details and pictures for Amalthus (voiced by Junichi Suwabe), the Praetor of Indol. 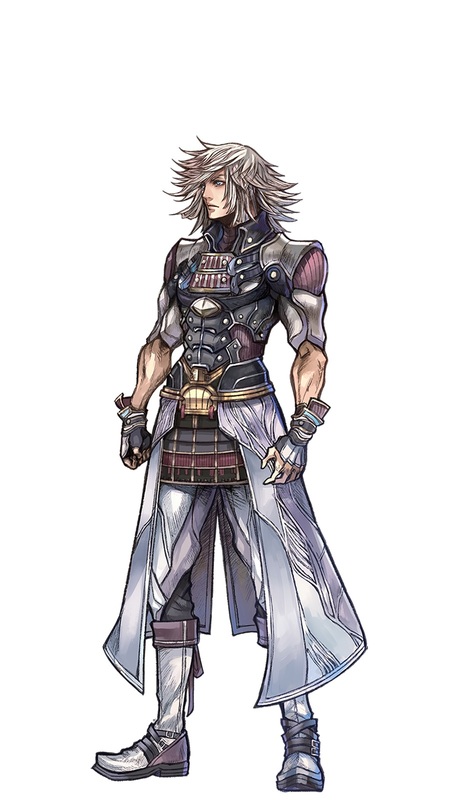 He’s a rather formidable individual, who traveled to the World Tree and awakened the Aegis. 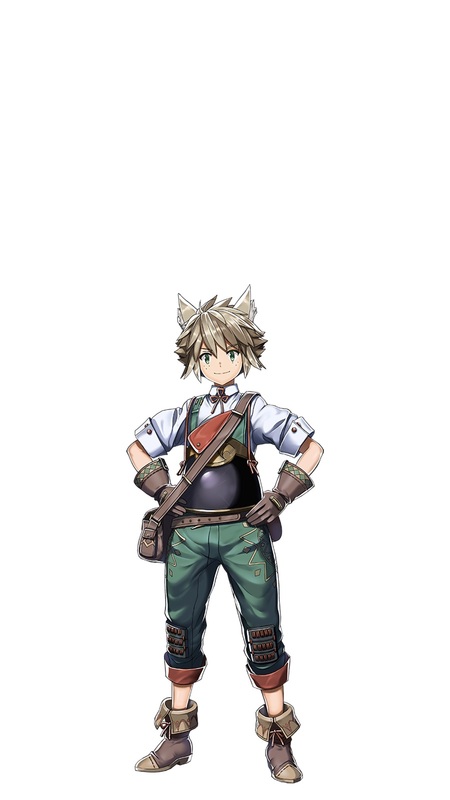 He’s the Driver of both Malos and Cole. He’s pretty young for a Praetor, but also pretty active. But what is that “Salvation of the People” that he speaks of? Today, Monolith Soft. 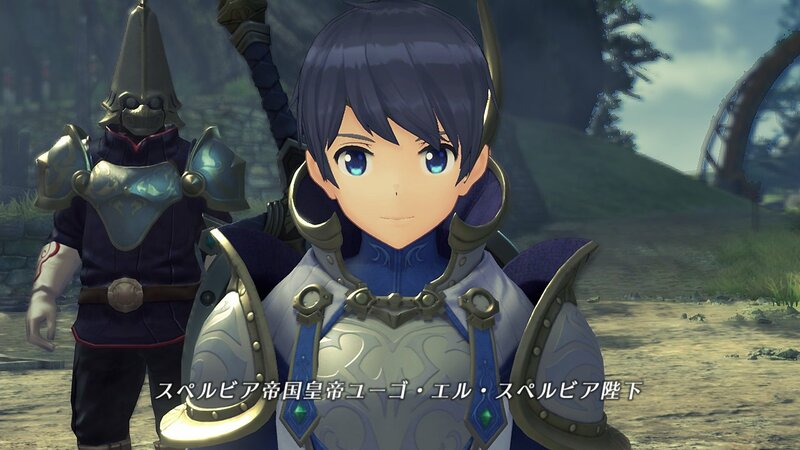 shared some details and pictures for the King of Torna (voiced by Shigeru Ushiyama). 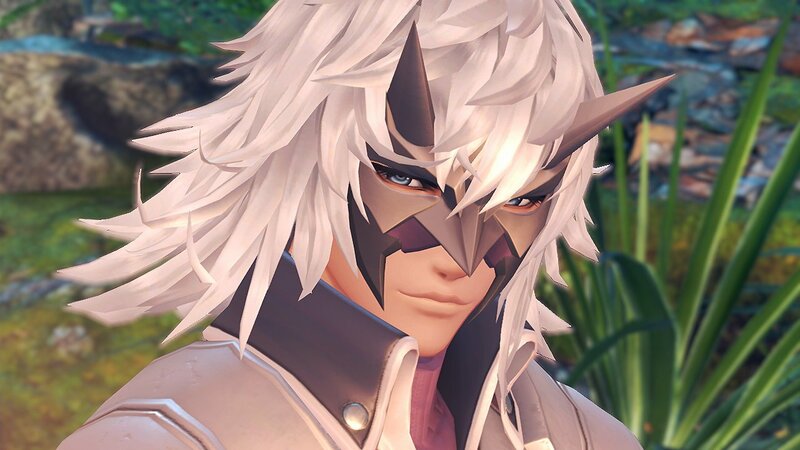 As the King, he’s the most important person in Torna. 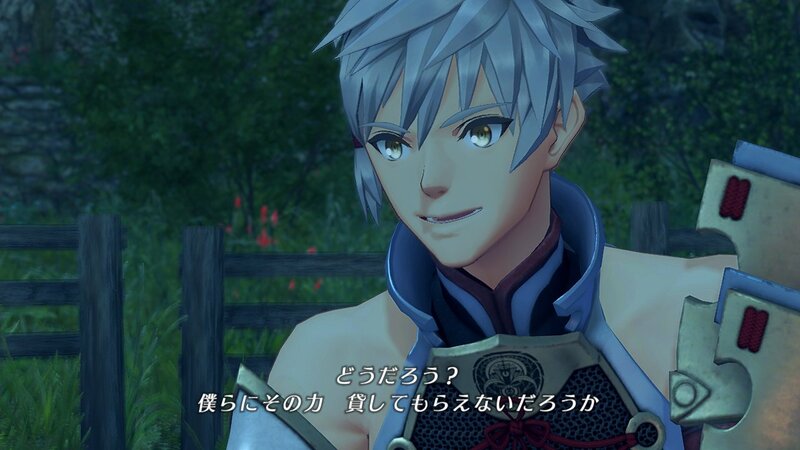 He also happens to be Addam’s father! 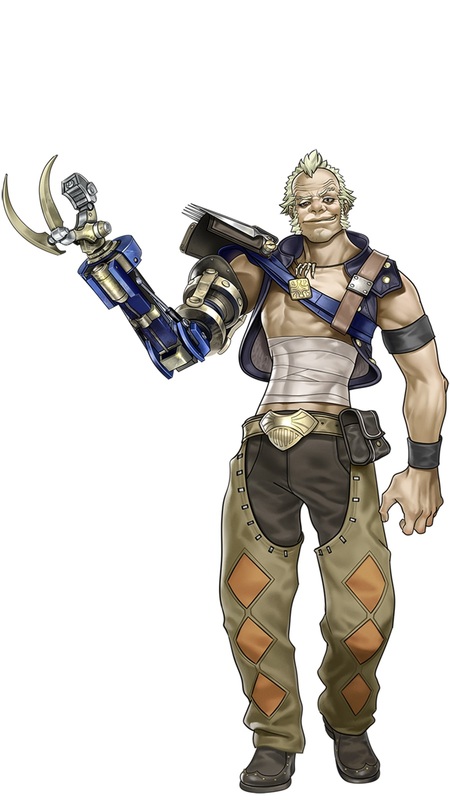 He has full confidence in his son and his abilities, which is why he entrusts him with the perilous task of defeating Malos. 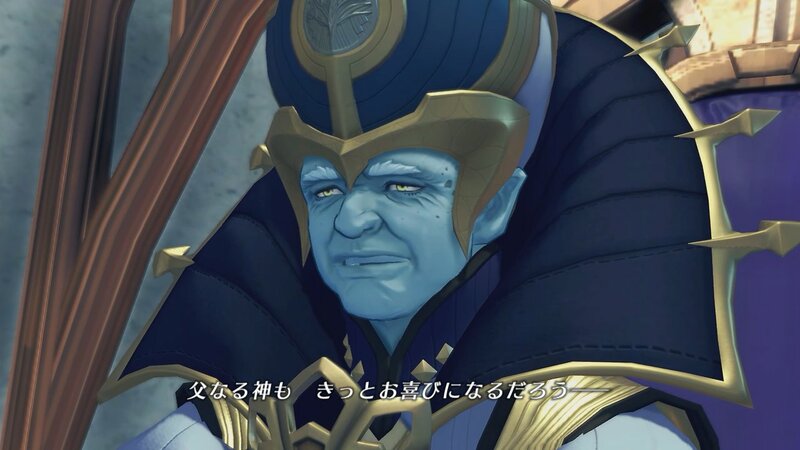 Today, Monolith Soft. 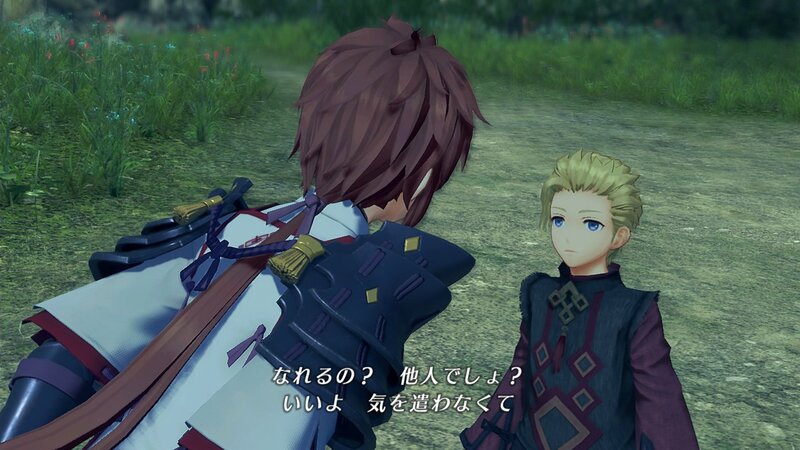 shared some details and pictures for Milton (voiced by Yukiko Morishita), a young boy from Gormott who travels alongside Addam. He’s quite the cheerful fellow, and he’s like a brother to Mikhail. 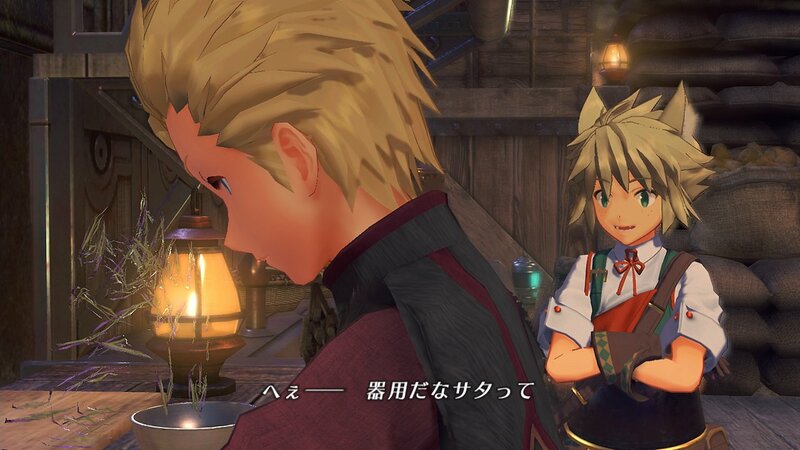 He also serves as Mythra’s tsukkomi / straight man, keeping an eye on her! Today, Monolith Soft. 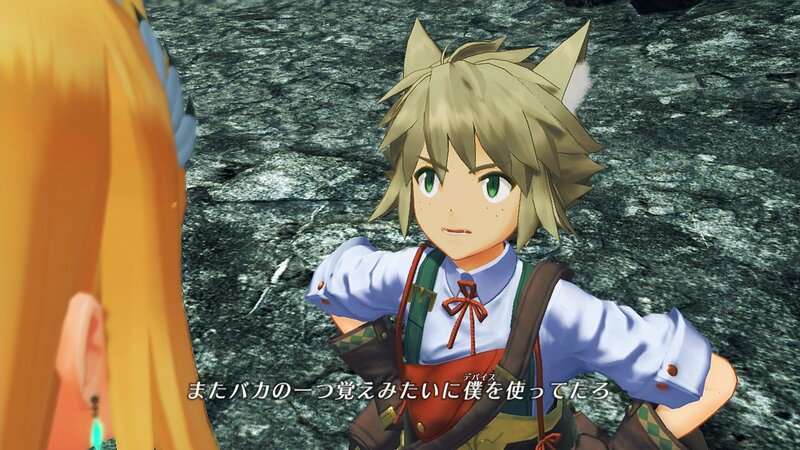 shared some details and a screenshot for Gormott, which also appears in Xenoblade Chronicles 2: Torna ~ The Golden Country. 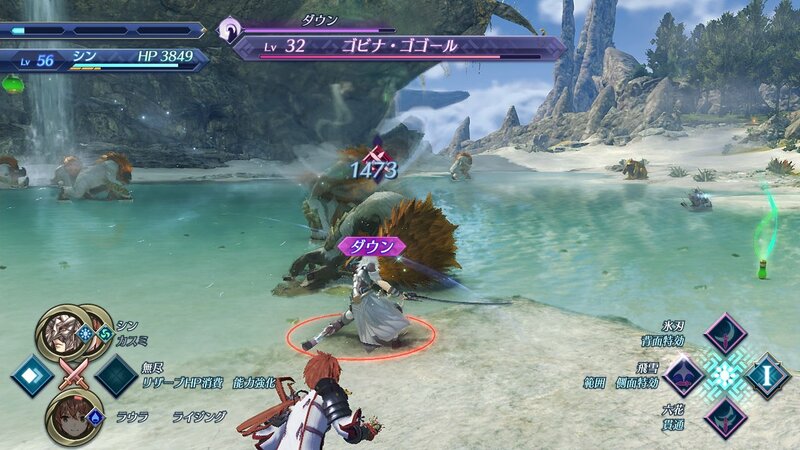 While the expansion does mostly take place on the Torna Titan, you will also get to explore other areas such as Gormott. 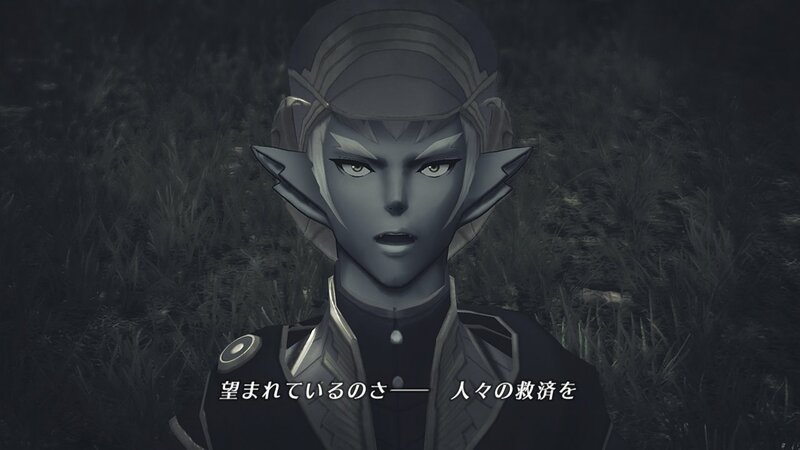 Of course, you will get to see the Gormott from 500 years ago, which looks quite different from the one in the main game, and is still unexplored. Who knows, you may find various places that look different from their “present day” counterpart! Today, Monolith Soft. 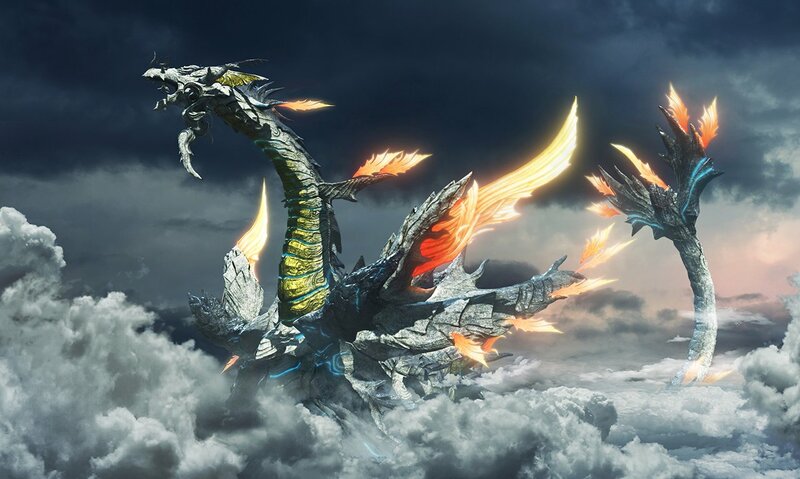 shared a picture and some details for Torna, which is the Titan where Xenoblade Chronicles 2: Torna ~ The Golden Country takes place. Despite it looking like a fierce dragon, it’s actually a pretty nice and calm place to live in since it usually stays asleep. 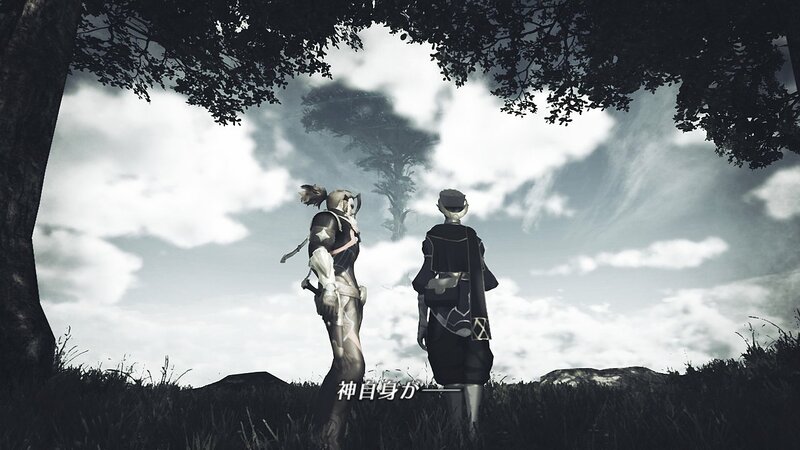 Today, Monolith Soft. 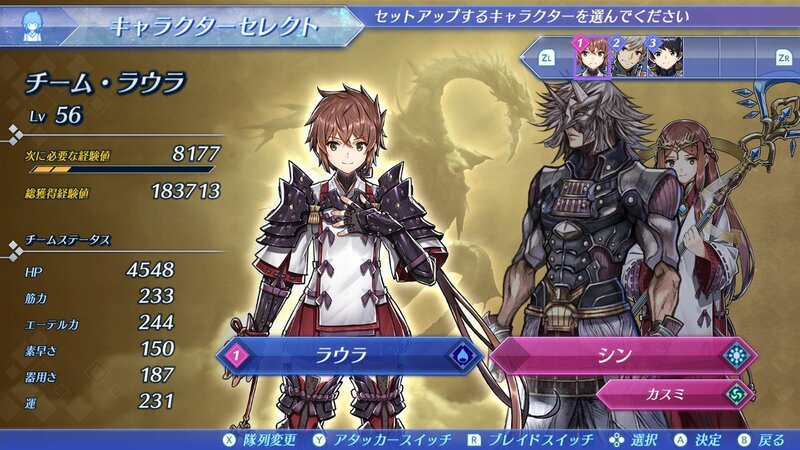 shared some details and screenshots for teams in Xenoblade Chronicles 2: Torna ~ The Golden Country. Teams are made of 3 people: the Driver, and two Blades. 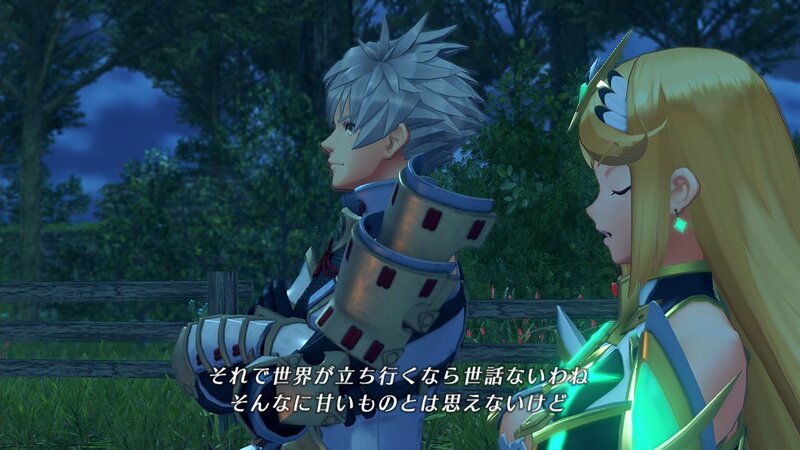 Unlike the main game (where you can freely switch Blades, even from one Driver to another), the teams are fixed, so the strong bond and cooperation between the Driver and their Blades is key to victory in battle. Today, Monolith Soft. 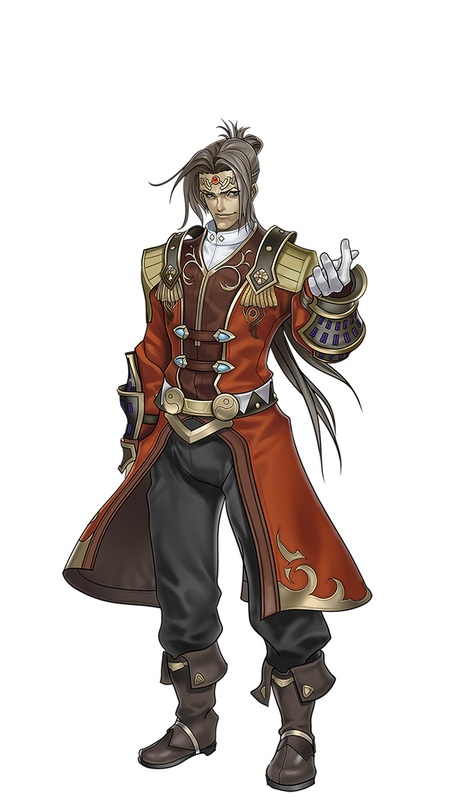 shared some pictures and details for Hugo (voiced by Akira Ishida), from the Empire of Mor Ardain (which was a rising military state at the time). He stands on the battlefield, carrying the very feelings of the Ardainian people on his shoulders. 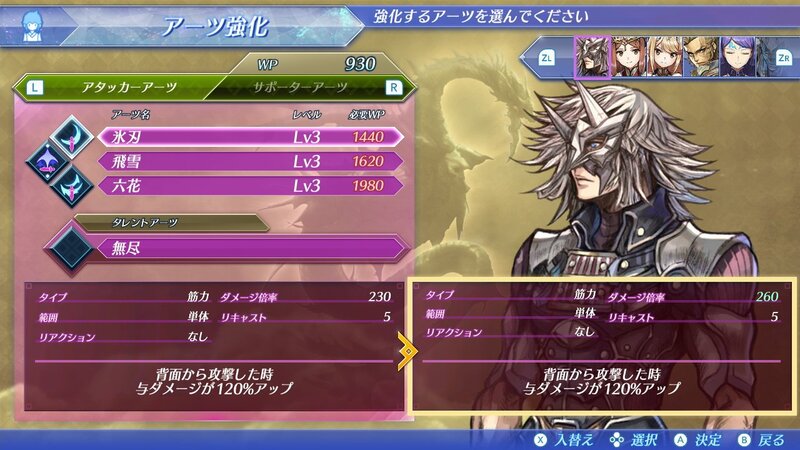 His battle style consists in protecting his allies by taking enemy attacks in their stead (basically, a “tank”). 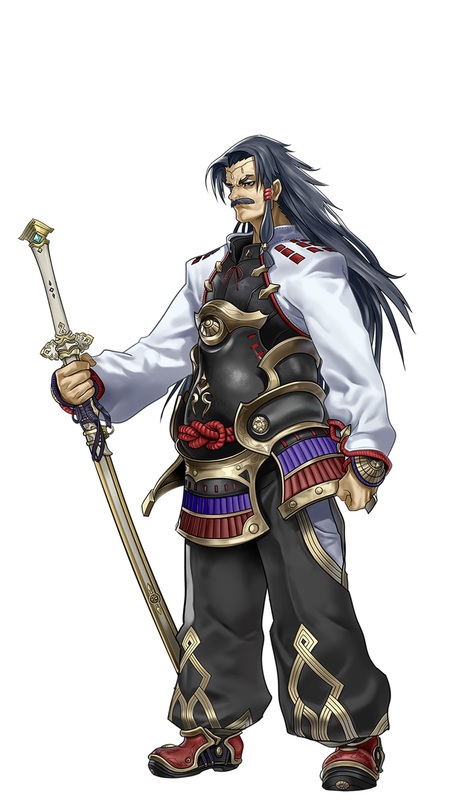 If that character feels familiar to you, there’s a good reason for that: he’s actually the ancestor of Emperor Niall, that appears in the main story of Xenoblade Chronicles 2! 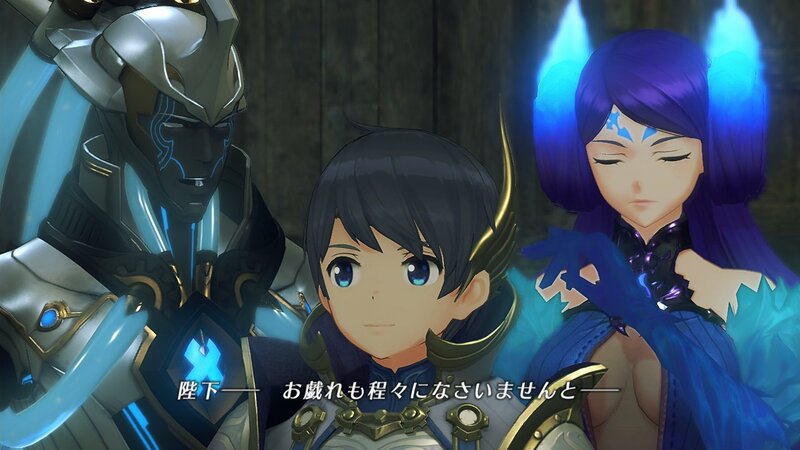 Hugo’s Blades are none other than Brighid (voiced by Shizuka Itou) and Aegaeon (voiced by Shuuichi Ikeda), who have been handed down to the various Emperors of the Empire of Mor Ardain for generations. Those two are always there to support their Driver, who always tend to put himself in danger. 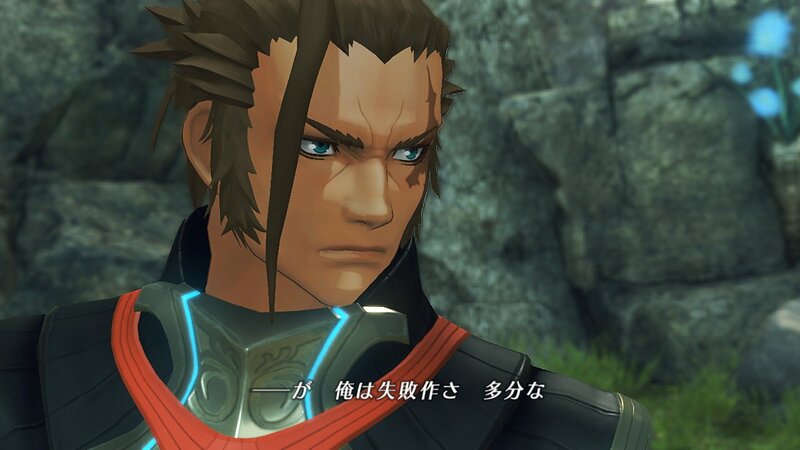 Today, Monolith Soft. 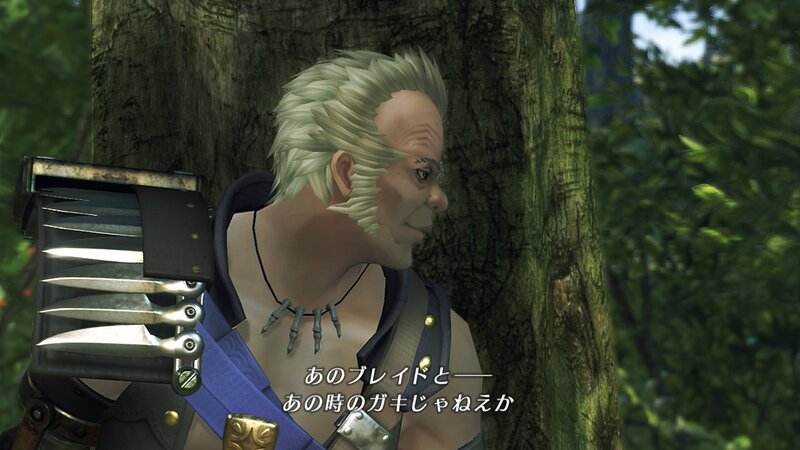 shared some pictures and details for Minoth (voiced by Shinichiro Miki). 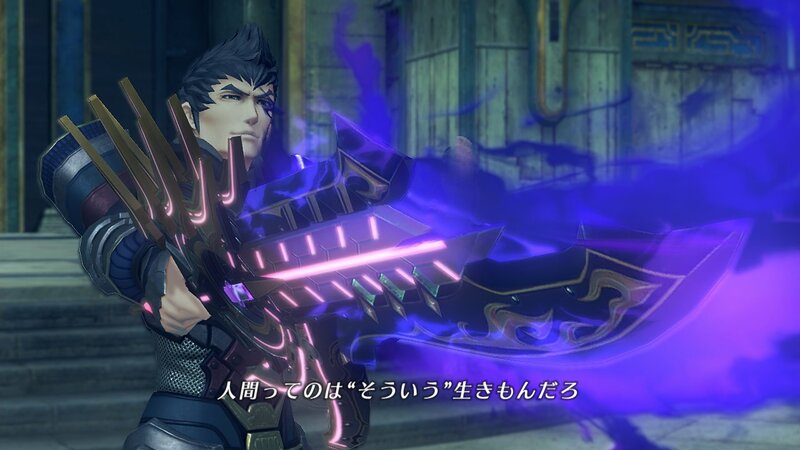 This rather austere-looking man is one of Addam’s Blades; his attribute is Dark, and he uses dual pistols in battle. His core crystal has a rather unique shape and design. As for his name, it’s strangely familiar… Some players probably remember it from somewhere (*wink wink*)! 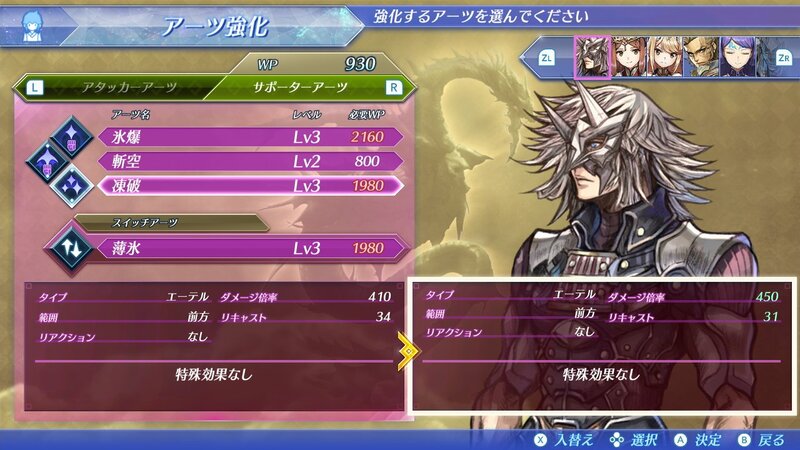 Oh, and in case you’re wondering: yes, you will be able to battle with him! Today, Monolith Soft. 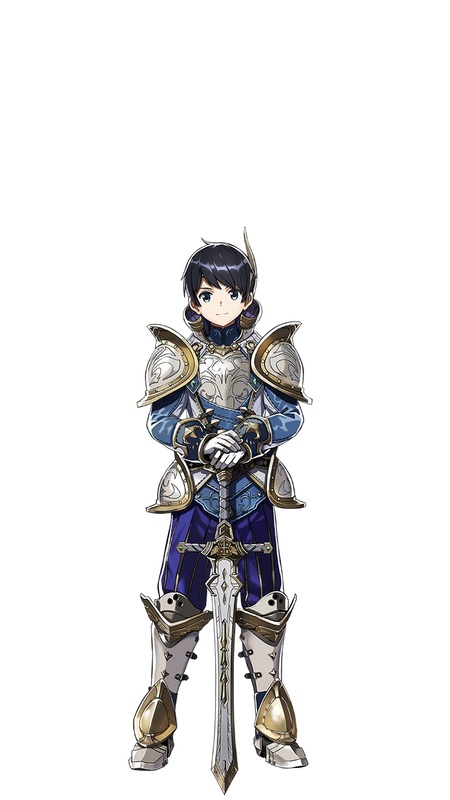 shared some pictures and details for Addam (voiced by Yuusuke Handa), one of the key characters of Xenoblade Chronicles 2 (where he’s referred to as a lengedary hero) and Xenoblade Chronicles 2: Torna ~ The Golden Country (where he’s actually playable). 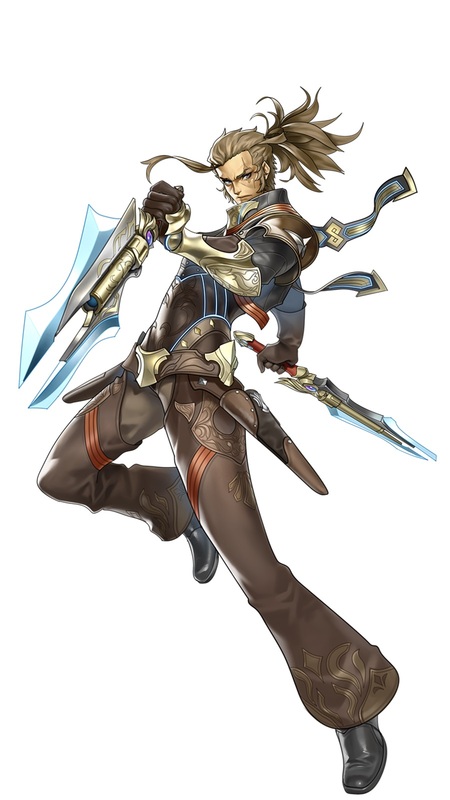 He may be a Prince of Torna, and the 4th in line for the throne, but he’s actually pretty hot-blooded and doesn’t really behave with the decorum that befits his status. 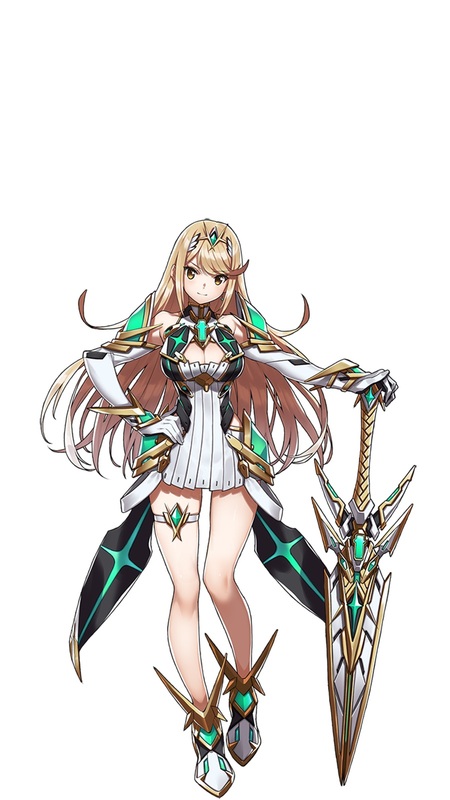 We also have details about a character you should be pretty familiar with if you’re reading this post: Mythra, the Aegis (voiced by Shino Shimoji). 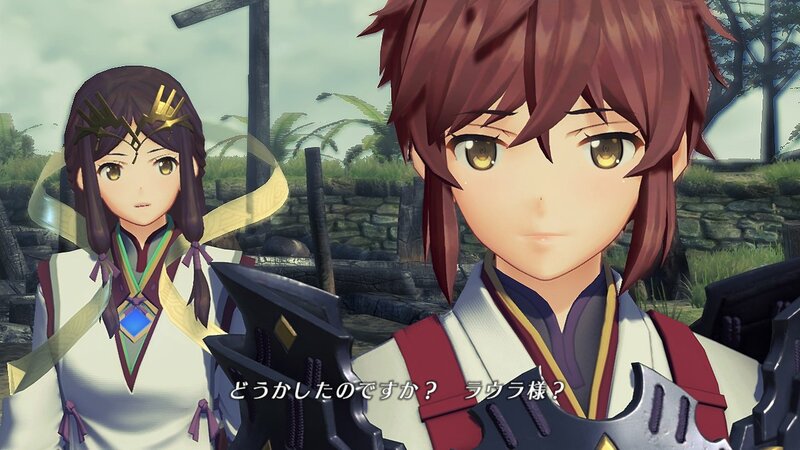 Pyra doesn’t exist yet in the era Xenoblade Chronicles 2: Torna ~ The Golden Country takes place in, so it’s only Mythra that you will get to see. Yes, she already was a bona fide tsundere back then! The shape of her core crystal is slightly different than in the main game. 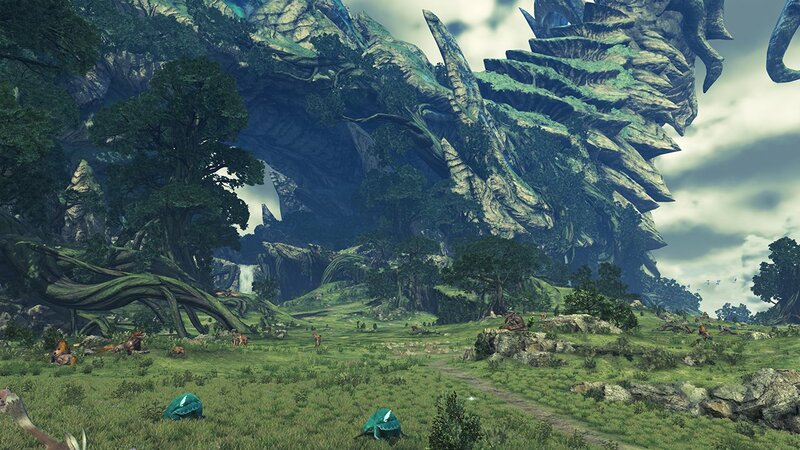 Today, Monolith Soft. 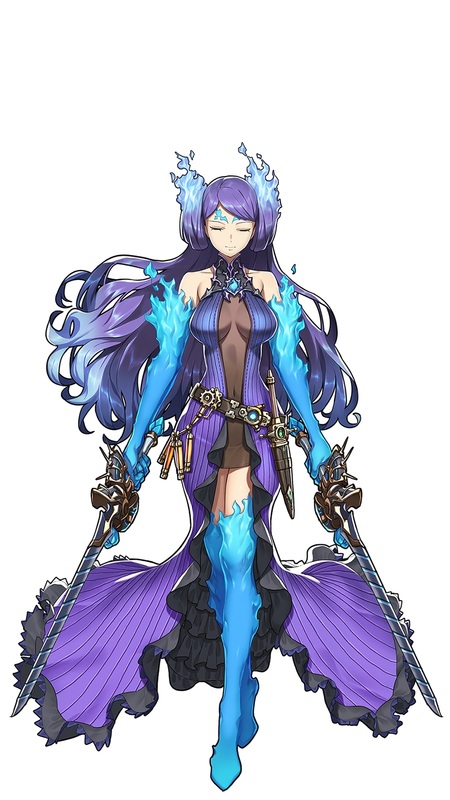 shared some pictures and details for Haze (voiced by Hayami Saori), who is Lora’s second Blade. 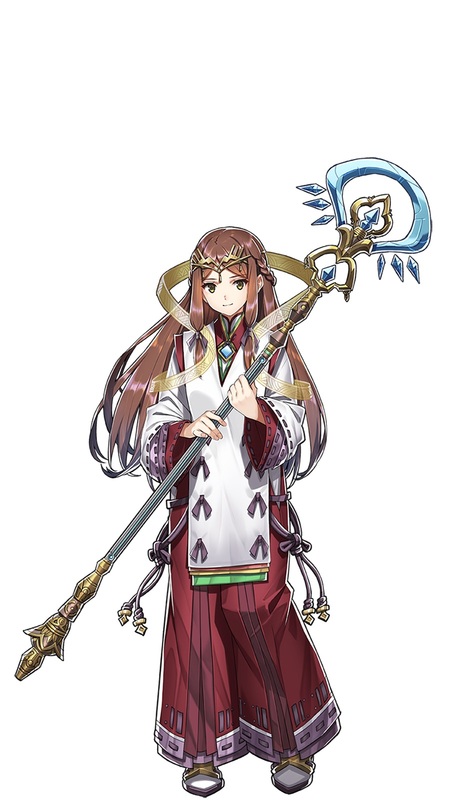 Her attribute is Wind, and she’s focused on healing. 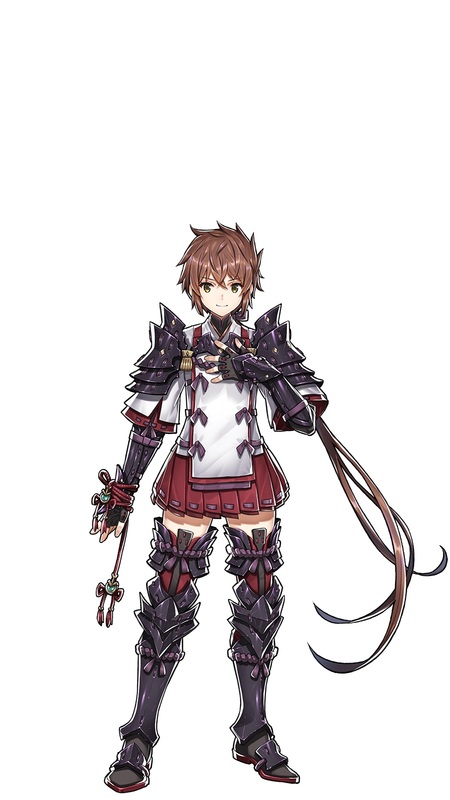 She looks pretty much the same as Lora, but her clothes and personality are quite different from her Driver’s. 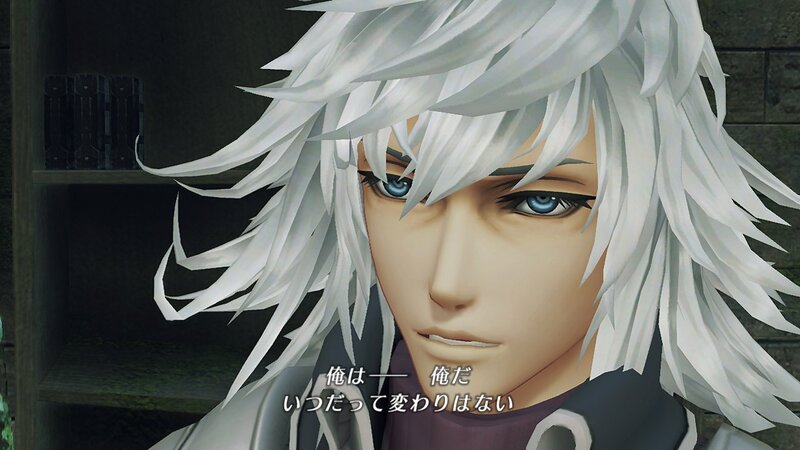 some pictures and details about Jin (voiced by Takahiro Sakurai), the protagonist of the story DLC. 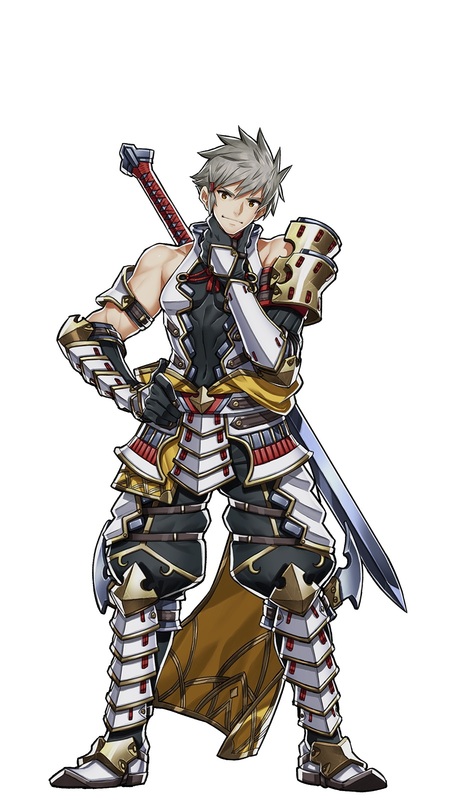 Even back then, he was already known as the strongest Blade in Torna, and often referred to as “Torna’s Treasure”. 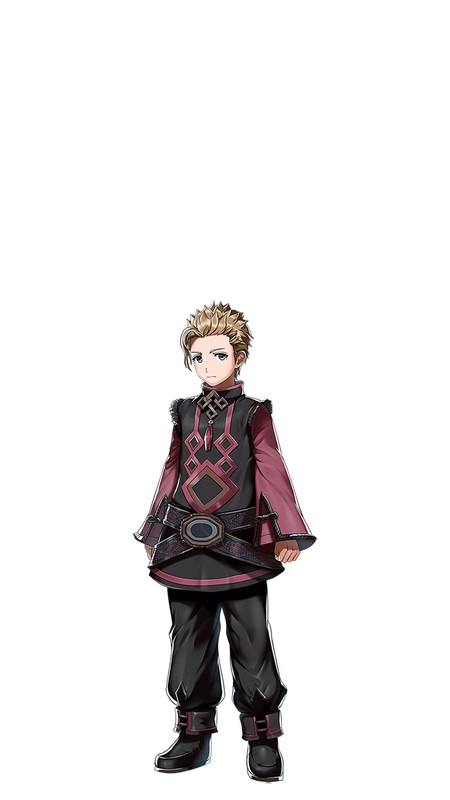 But at that time, he truly disliked conflicts, and had a really gentle personality… quite the opposite of how he appears in the main game! 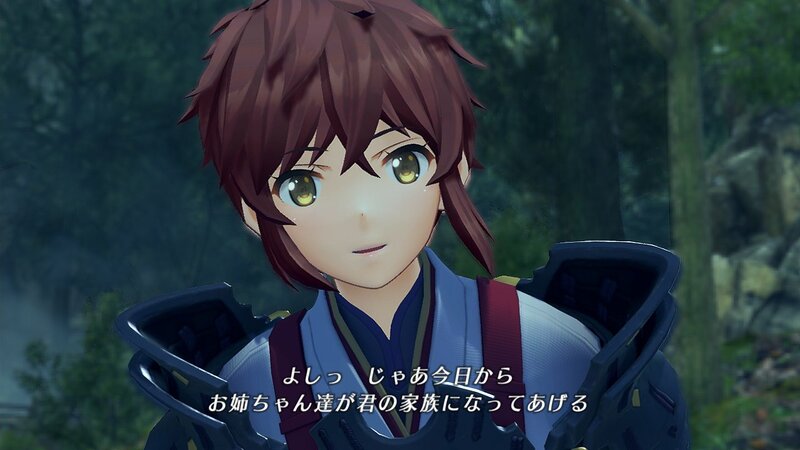 some pictures and details about Lora (voiced by Hayami Saori), Jin’s Driver. She’s no damsel in distress: she’s a strong woman, who served as mercenary during the Aegis War. Jin and her have been together ever since she was but a child. 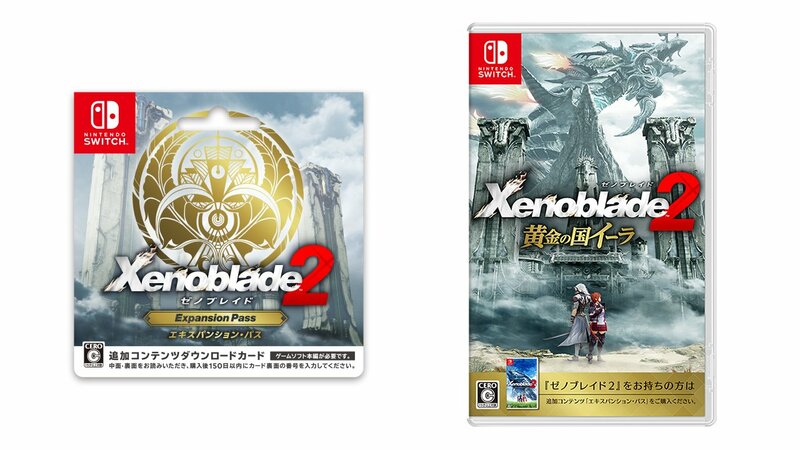 Xenoblade Chronicles 2: Torna ~ The Golden Country (Switch) comes out on September 14th (Expansion Pass owners) / September 21st (retail stand-alone version).